Back in the late eighteen hundreds and up to the nineteen forties oval and round frames made up over half of all the frames being made and sold. A large percentage of these frames were made for round family portraits. Many families still have old family photographs that are oval, round, and/or convex stashed in their attic or basement because this type of frame is now uncommon and very difficult to come by. 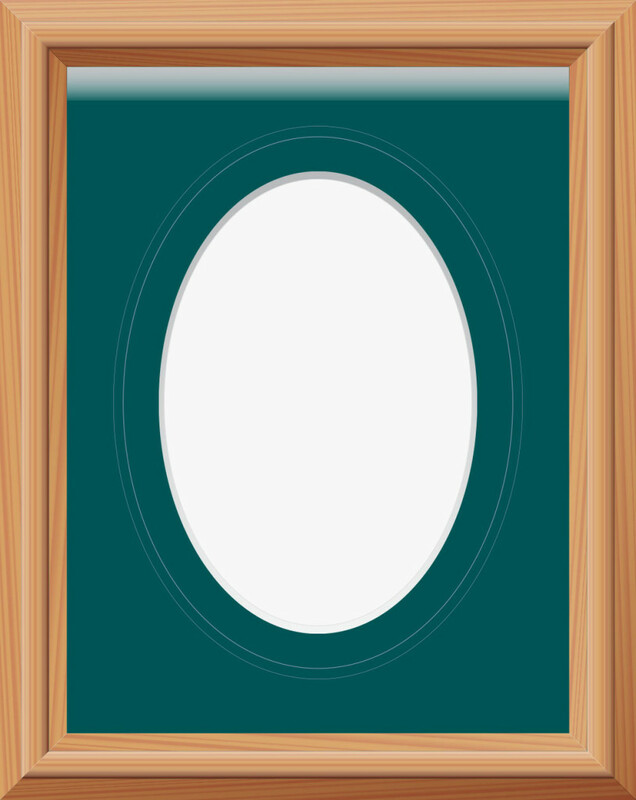 Today, less than 5% of all picture frames produced are oval or round. Oval cut mats are the solution to this problem and will accommodate any artwork that does not fit into a parallelogram frame or mat opening. The oval cuts are done from the inside of a square mat and then fitted into square/ rectangular frames.